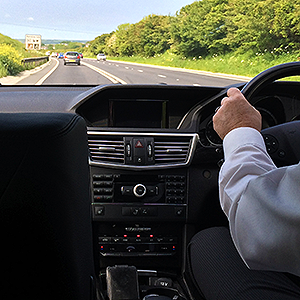 Duchy Cars run an Executive Chauffeur Hire in Cornwall for clients travelling throughout Cornwall, Devon, The Southwest and the United Kingdom. Our service is designed for VIPs, Business Executives and Celebrities.s. Duchy Cars are also used by Film Production companies who wish to transport cast and crew within strict deadlines and complete confidentiality. We can also provide you with a professional and efficient service to local airports, special events or corporate functions. As a family run business, we understand the importance of looking after you, giving you great value for money and organising everything so your journey is stress free and enjoyable. All drivers are experienced chauffeurs, bringing you peace of mind that they will get you to your destination safely and on time. We can cater for any special needs or requests, so please feel very welcome to discuss anything with us at the time of booking.